JetElite is grounded by the foundation of safety. This guiding principle helps us to build upon the most stringent industry standards to keep you, your passengers, and your aircraft in the safest environment possible. From flight crew to maintenance personnel, all aircraft operational activity is carefully monitored through the Federal Aviation Administration, our company Operations Manual, Maintenance Manual and Safety Management System. 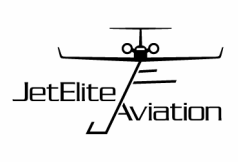 The FAA is extremely strict when it comes to safety parameters, and we at JetElite go to great lengths to exceed them on every basis. We operate with refined in-house procedures to maintain the highest level of safety. These stricter policies and tighter parameters are for the safety of you, your passengers, and your aircraft. We ensure that every individual assigned to your aircraft has the proper training, currency, regulatory compliance, experience, knowledge and oversight to maintain our code of safety. All flight crews and maintenance technicians are trained at only world-renowned facilities, and attend recurrent trainings throughout each year. We employ only the most safety conscience and detail oriented personnel. At JetElite, safety is paramount. You can rest assured, that every one of our decisions is based upon this guiding principle.